Since the trade balance (exports minus imports) is generally the biggest determinant of the current account surplus or deficit, the current account balance often displays a cyclical trend. During a strong economic boom, import volumes typically surge; if exports are unable to grow at the same rate, the current account deficit will widen. Conversely, during a recession, the current account deficit will shrink if imports decline and exports increase to stronger economies. The currency exchange rate plays a significant role on the trade balance, and by extension, on the current account. An overvalued currency (say rupee @40 against dollar) makes imports cheaper and exports less competitive, thereby widening the current account deficit (or narrowing the surplus). An undervalued currency (say rupee @70 against dollar), on the other hand, boosts exports and makes imports more expensive, thus increasing the current account surplus (or narrowing the deficit). 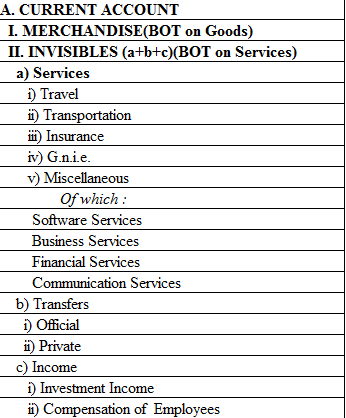 The invisible balance or balance of trade on services is that part of the balance of trade that refers to services and other products that do not result in the transfer of physical objects. Examples include consulting services, shipping services, tourism, and patent license revenues. This figure is usually generated by tertiary industry. India’s current account deficit -- or the difference between imports and exports -- has been an economic Achilles Heel for the country for the past few years, widening to a record margin (USD 31.9 billion or 6.5 percent of the gross domestic product in the third quarter of FY2013). The worsening in the CAD sent the currency tumbling to record levels of around Rs 68 to a US dollar, producing a cascading across the economy. In a bid to curb Indians’ love for gold, much of which is imported from abroad and which forms a major component of Indian imports along with oil, the government increased duty on imports of the yellow metal from what was virtually 1 percent (a flat Rs 300 per 10 gm used to be charged) in 2012 to 10 percent. But even as the CAD seems to be recovering well – it stood at USD 4.2 billion or 0.9 percent of GDP in the third quarter of this fiscal – helped by the curbs on gold import and the depreciating currency’s self-correcting mechanism which gave a boost to exports, a cut in duty seems some way off. While the steep rise in gold duty achieved its intent of curbing gold demand, it has not come without its side effects. A World Gold Council report recently said a whopping 150 to 200 tonnes of gold was illegally smuggled into India in a year to try and satiate Indians’ demand for higher gold.